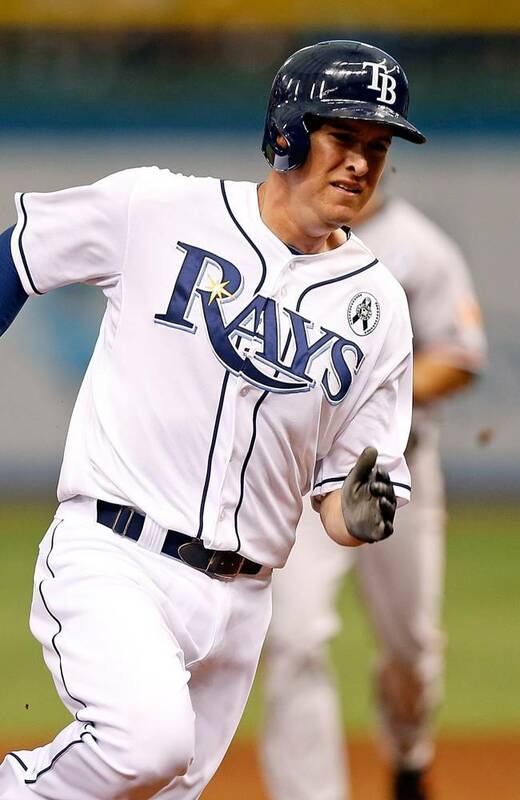 Rays “Man about the Stands” Todd Kalas has informed us all that with a Kansas City or Oakland win tonight (9/19/14), the Rays will be mathematically eliminated from any more post season banter in 2014. 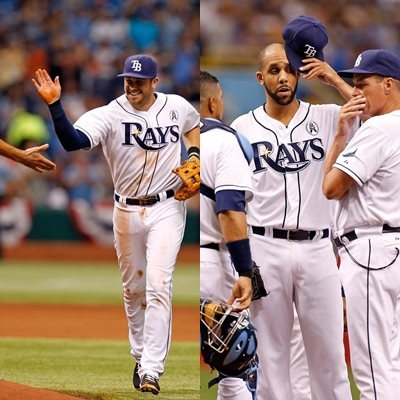 With that in mind, it is time for the second installment of “Peering through the Rays Looking Glass” and focus today on the Rays pitching corps for 2015. 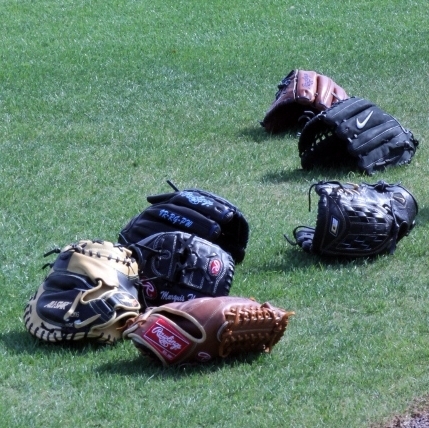 Going into the spring of 2015 this has to be one of the most secure spots within the Rays organization, but there are some changes that could, should or will happen before the boys again unpack their gear in Port Charlotte in February 2015. So let’s start with the obvious first here. 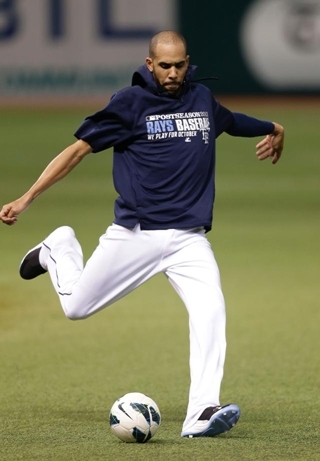 The Rays rotation might need a few tweaks, but there also might be an omission or deletion before the team again assembles for that yearly pre-Spring pep talk by Joe Ma on the green grass. 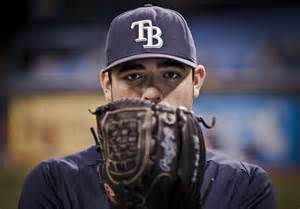 I definitely have been hearing great things on the progress of Matt Moore in his rehab and come spring, I consider him 1-L on the Rays starting rotation chart. Sure that might seem funny to some, but has been the case here in Tampa Bay for some time, there are 2 starters who deserve that # 1 position heading into 2015. Of course I have already assigned one half of that equation to Moore, and it only seem appropriate and totally earned that Alex Cobb will be the Rays 1-R or top right-handed option heading into next season. 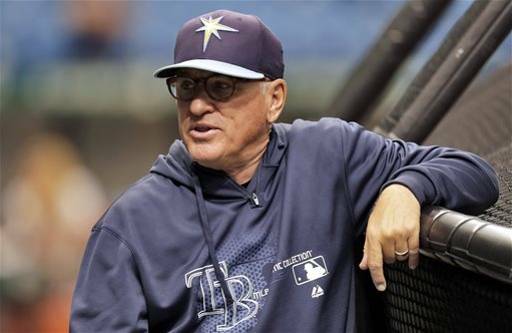 I’m not going to attach either to a #1 or #2 slot basically because I’m not sure yet which kind of order the Rays Front Office and Rays Manager Joe Maddon and Rays Pitching Coach Jim Hickey envision to be the best fit. That being said, these two names will be at the top of the chart no matter the decision, and that decision will also fully decide the 3-5 slots also. Just as the Rays #1 and #2 Rays pitching matchups are probably months away from being in some sort of concrete mode, the Rays # 3 and #4 spots might also be a total guess work right now and are totally interchangeable at this moment. 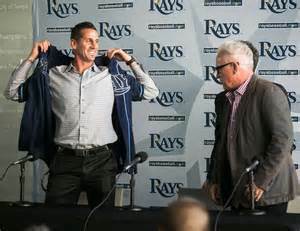 But even with that in mind, Rays left-hander Drew Smyly and Chris Archer should definitely be more than penciled in as the Rays middle rotation guys with either taking the #3 or #4 slot possibly based on a L-R-L-R rotation mix or Maddon could go L-R-R-L giving the Rays possibly a southpaw in every series being blanketed by a tough right-hander. 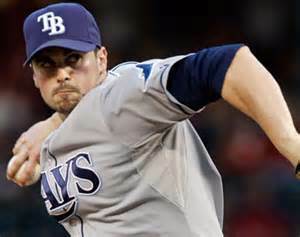 Even though Jake Odorizzi produced a very respectable 2014 season and popped out great starts throughout 2004, I suspect he will face a nice dose of competition this spring to hold onto the Rays 5th rotation spot. I can easily imagine Merrill Kelly, Alex Colome and possibly a veteran being signed by the Rays on the cheap to battle it out in spring training for this last rotation slot. As Maddon always says, “Pitching sets the tone” again in 2015 on just how far or how low the Rays end up early or late in the American League East standings. You might notice I did not include Jeremy Hellickson this rotation list. 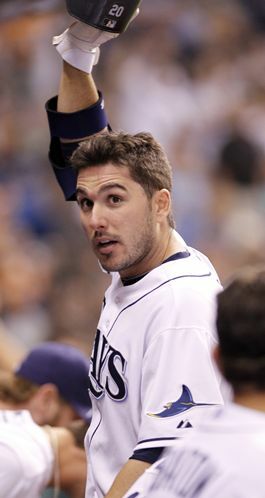 I think that this winter the Rays will definitely offer him up as a trade piece not only because he seems a bit injury prone, but because his salary is only going to rise and he might not be the solid investment for the Rays he was just 2 seasons ago. 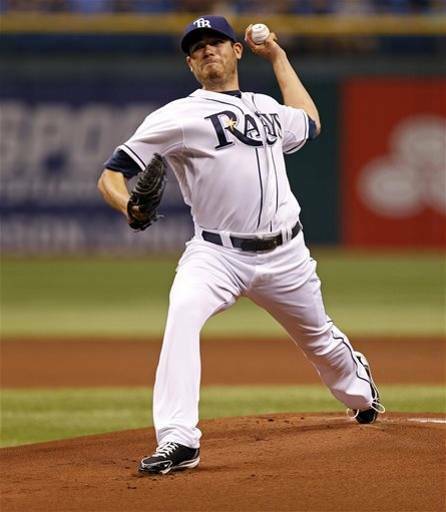 I would not be surprised if a change of scenery sparks Hellboy back into a frenzy quite possibly to the heights experienced by former Rays P Scott Kazmir this year in Oakland. 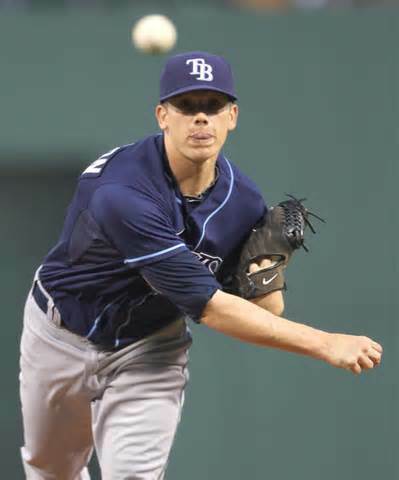 Unlike Price, Hellboy has not seen his stock rise in value the last few years and it might be time for the Rays to let Hellickson try another vista and re-establish himself. 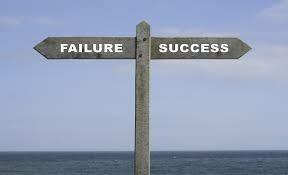 Some have labeled 2014 a disaster year for the Rays because of their less than .500 overall record and their lack of offensive excellence, but the Rays found out in 2014 that this young staff will step up, will compete and will produce wins even with a less than desired run support by the field players. But there is also another set of hurlers who will have a say in 2015 and just how far and fast the Rays can rebound again to regain their winning ways. 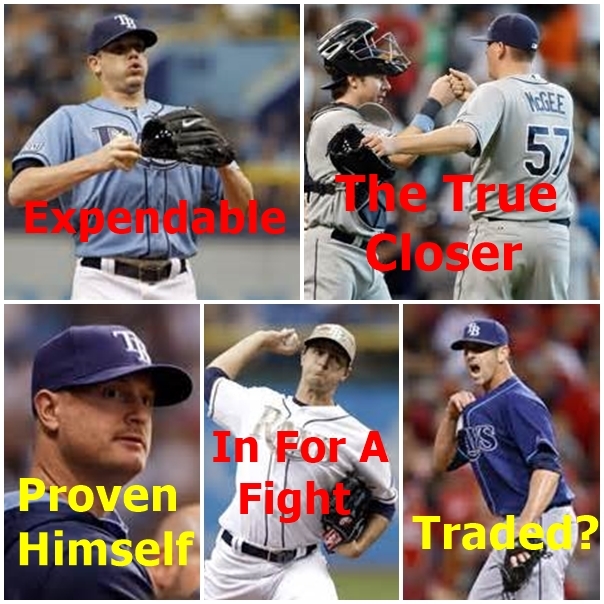 Leftie Jake McGee has more than shown us in 2014 that he has the right stuff to be our last line of defense, but some of the other pieces of the Rays Bullpen puzzle might have bigger question marks after lackluster 2014 seasons. Bruce Boxberger’s pitching arm definitely will get him another shot in 2015 to stay at the M L B level, and if he can stay consistent, his spot on the Rays roster can only grow more secure with each great outing. 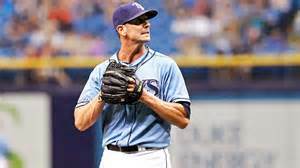 Even though Grant Balfour has another year on his contract with the Rays, he might be a nice piece of bait to wiggle out there for a team that needs a veteran closer who never lets his baseball fires burn out. I like Balfour and his fire, but the money spent on him could be used to bring in 2 relief pieces and with a team that will be pinching pennies ‘til they scream, Balfour is a cautiously expendable commodity that could be in high demand somewhere else this winter. You might think the Rays might have an easy decision to make this winter on Joel Peralta, who has been a fine set-up piece for the team. 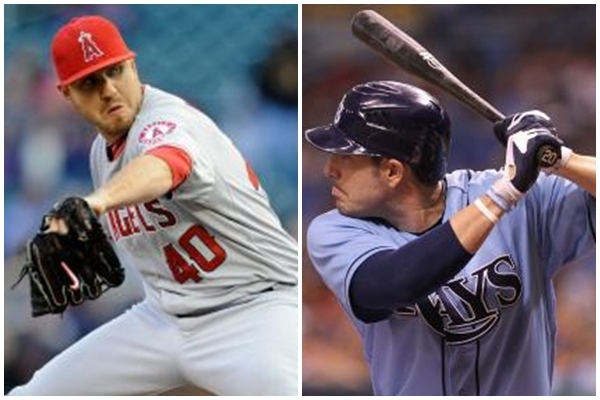 Starting this winter, the Rays hold 3 different club options on Joel in 2015-17. 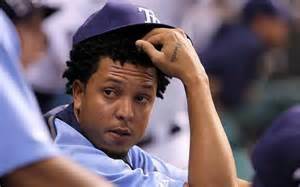 I do not see Peralta going anywhere, but depending on the size of cuts the team will have to make on payroll heading into 2015, his worth to the Rays teeters more on the good side than bad. 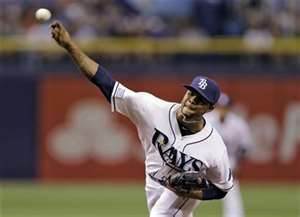 Alex Colome, who is now out of minor league options could be key pieces to any 2015 realignment of the Rays bullpen. 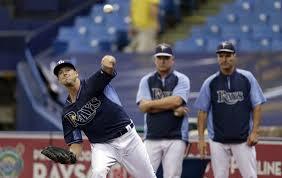 Colome could easily be either the Rays 5th starter, spot starter or just inherit the long reliever slot in the bullpen. Colome has at least 2 more starts in the Rays rotation in 2014, but an impressive 2015 spring could hoist his name easily as a 5th slot contender. 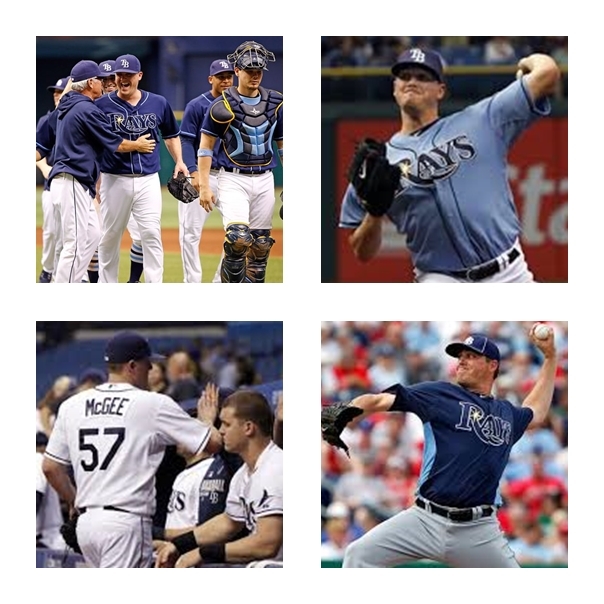 With young relievers like Steve Getz, Brandon Gomes, Jeff Beliveau, Cesar Ramos, Kirby Yate and even C J Riefenhauser getting time this year to impress the Rays in extended looks and chances in 2015, one of the Rays next waves of players being selected from the minors might have a definite reliever flavor. Some might think the name of the Rays Reliever of the Year and current Durham Bulls closer Adam Liberatore should be pushed onto this list. 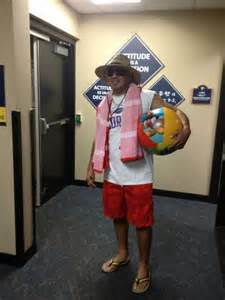 Sure he will get a spring major league camp invite, but the Rays still have a hand full of minor league options on him and could bring him in more for seasoning and extended work with the M L B staff than promote him before quite possibly September 2015 or a more realistically during 2016. An extended injury to McGee before 2016 could escalate his chances to gain a quicker M L B chance to impress during the regular season. 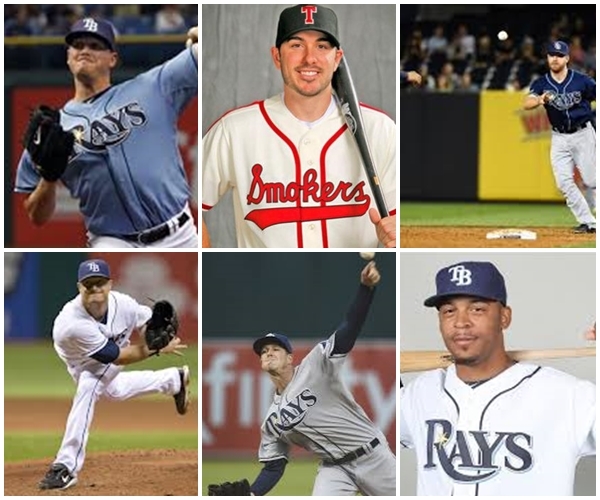 Sure the Rays will sign a few veteran and even productive name to spring camp, but I do see the Rays current young and hungry relievers fighting them off tooth and nail to be a part of the Rays machine come late March 2015. Each of the above relievers should get a chance in the latter stages of 2014 to make impressions and even get a longer look this upcoming spring in the major league camp and it would not surprise me if more than 3 of them break camp with a 25-man secured spot. 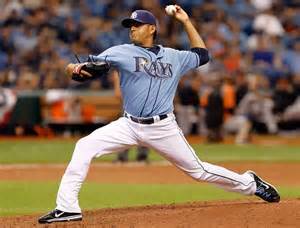 The pure unadulterated strength of the Rays heading into 2015 is their great pitching and the depth of said commodity in their farm system. This is a time where the Rays could find more than a few intricate pieces of their 2015 puzzle with very affordable and team controlled contracts that could help the team survive and thrive through the lower payroll expectation of 2015. 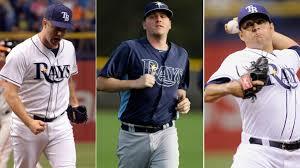 It is possible the team might look to shave $20-30 million this winter and if that does come to reality, Hellickson, Balfour and quite possibly Peralta might be the viable and most costly options that get more than a few long and hard looks as to their worth in the Rays pitching corps. 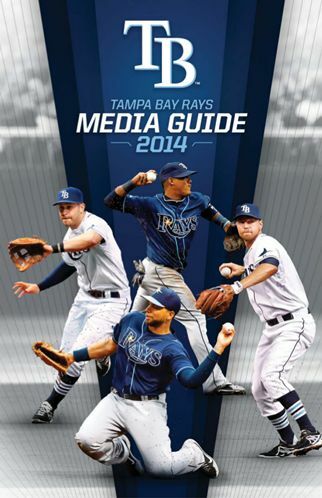 As I have mentioned before, the day I get to check out the Tampa Bay Rays new edition of their Media Guide is a day filled with adventure, intrigue and maybe even a little whimsical fun. Glancing over the awesome moments of our brood of baseball buddies always bring to light moment uncaught by our eyes and ears in the stands and produce stats and figures we never really realized for our guys who battle upon the turf. So I decided to stay in the hurler mode today for my 2nd installment of the special career notes and humanitarian efforts of our firemen down on the First Base line who we affectionately know as the Bullpen. Depending on the type of relief corps your team possesses, they can either give you a warm feeling or outright panic when a starter begins to show fatigue. 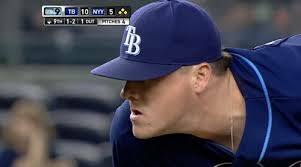 Lucky for us here in Tampa Bay our relievers have shown more pluses than minuses over the last few season, but glitches do happen. Also we do not know yet if the Rays will carry 11 or 12 pitchers going into the season, so I’ll just take a coin flip and list the 6 guys I think might comprise the ‘Pen and a few names to possibly watch this spring. Jake McGee: Jake and his wife Morgan went a bit “Italiano” this past November visiting Venice, Milan and George Clooney’s hangout Lake Como. During Christmas Eve this past year, Jake and his wife also visited local foster families in Reno, Nevada and provided the kids with Christmas gifts. 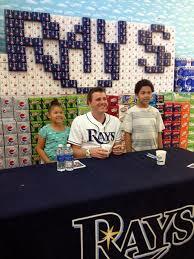 McGee is 2013 ranked second in the M L B among reliever southpaws with an average fastball velocity of 96.3 mph. 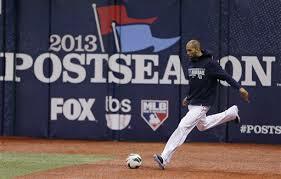 The mark was the highest among American League leftie relievers. McGee also posted up second among all M L B relievers with throwing a fastball on 93 percent of his pitches. 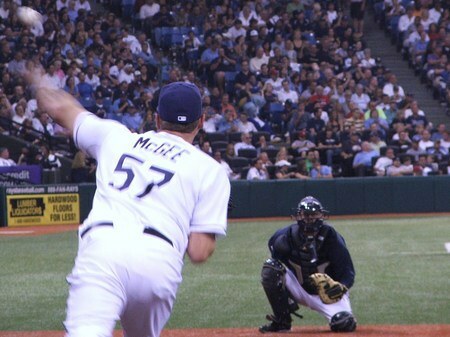 Makes sense McGee has been working on a few additional pitches this off-season to keep hitters guessing in 2014. Brandon Gomes: Took the LSAT after graduating from Tulane and if he wasn’t playing professional baseball, Gomes would have attended Law School and pursued a career in law or finance. 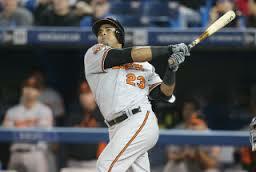 Even though Gomes only appeared 26 times in 2013 due to a right lat. Strain which sidelined him for 88 games, he did go 3-1 last season and split his season almost down the middle 14 games before/ 12 games after returning) between his injury stint. 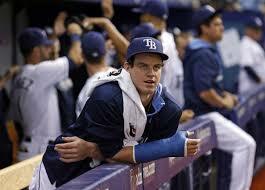 Could be a pitcher to watch this spring as he wants to show the Rays he is durable and consistent. Cesar Ramos: He learned English at a bilingual preschool in Los Angeles, Calif. His parents immigrated from Chihuahua, Mexico 34 years ago seeking a better opportunity for their family. Cesar also has sister named Elena. 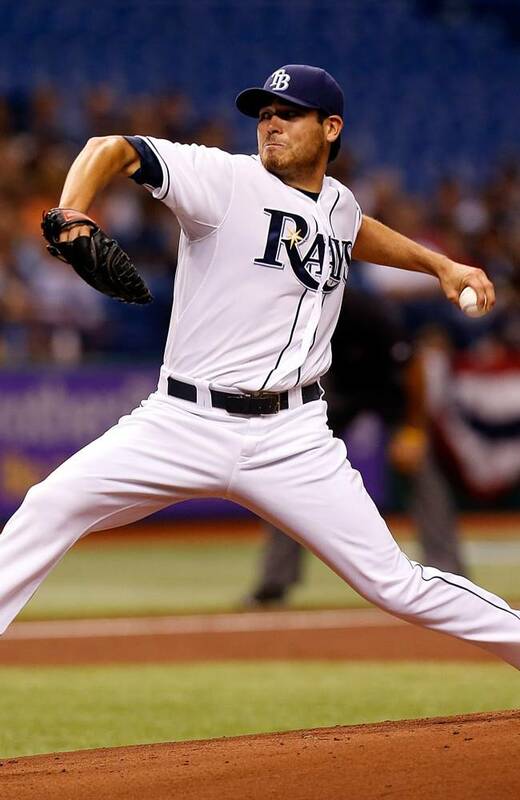 16 of Ramos 47 appearances in 2013 were 2 innings or longer which was the 4th highest number in the American League and most by a Rays reliever since J P Howell’s 23 in 2008. Ramos also secured his first M L B save after throwing 3 scoreless innings in Cleveland on May 31st. 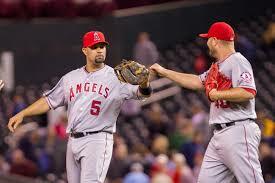 Joel Peralta: Considered quitting baseball in 2002 following a demotion from Double-A Arkansas to Class-A Cedar Rapids while with the Angels. His older brother Frank persuaded him to stick with it and Joel responded by going 5-0 with 21 saves and a .95 ERA with the Kernels (THANKS Frank!). 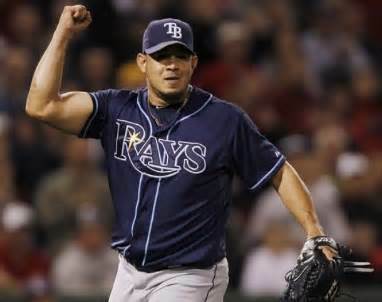 Peralta led the majors in 2013 with 80 relief appearances, which puts in 2nd overall in Rays history behind Randy Choate (85 in 2010). It was Peralta’s 3rd straight season of 70+ appearances (227 over 3 seasons) and the cherry on top is Peralta led all M L B relievers with 41 Holds in 2013. 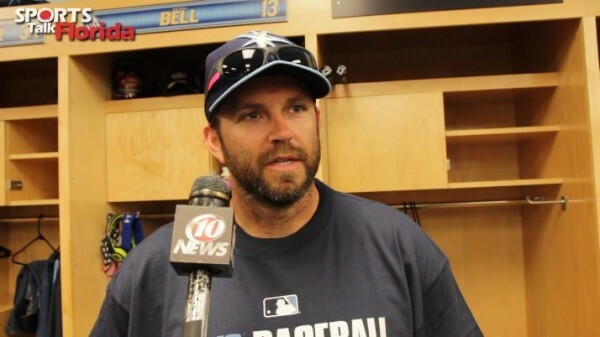 Heath Bell: Who knew the All-Star closer was also such a force in the kitchen? Bell made 24 gingerbread houses from scratch for his kids school. Heath hopes to meet Duffy, the Ace of Cakes this year when the Rays travel to Baltimore and would like to compete on the Food Network pastry competition show Sweet Genius someday. Pitched in 69 games last season for the Arizona Diamondbacks. It was his 7th consecutive season of 60+ appearances. 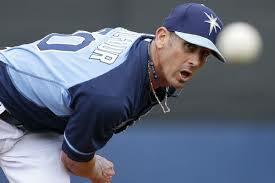 Ranked 3rd among M L B closers in saves (166) over the last 5 seasons. With Mariano Rivera now retired, only Philadelphia closer Jonathan Papelbon (173) remains in contention for the overall top spot. Grant Balfour: Most people might not know Grant’s father after completing his rugby career became a leader in developing and promoting Australian baseball and served as the G M of the Sydney Blue Sox before retiring last August. Grant saved a career high 38 games last season with only 3 blown saves. Over his last 24 appearances in 2013, Balfour had a 92.7 percent save percentage, 4th best in the AL and in A’s team history. He beat out his own 92.4 percent mark set in 2012 for the 4th spot. Converted 62 of 67 (92.5 %) save chances over the past 2 seasons. Juan Carlos Oviedo: He might be one of the biggest question marks this spring in regards to the Bullpen. 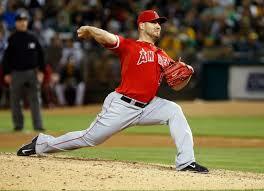 The team took a gamble on 2013 by signing him while he was rehabbing after a Tommy John’s surgery. They released him in the off-season, but quickly resigned him and invited him to spring camp. If healthy and firing on all cylinders this spring, could be a factor in the team’s Bullpen makeup and possibly send someone above away in a late spring trade. 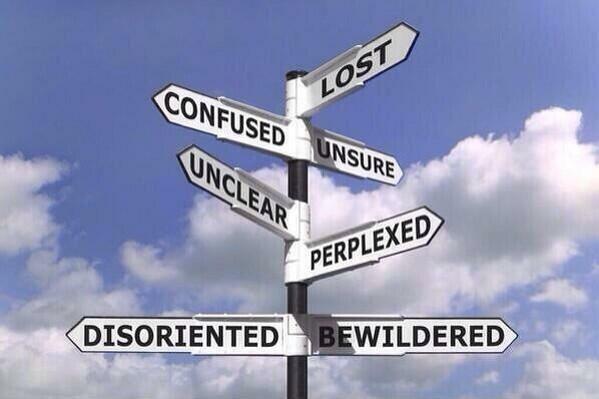 Oviedo logged 92 saves from 2009-11. 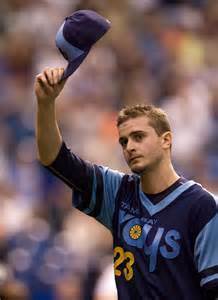 That total was 8th best in the M L B at that time and ranked him 3rd on the Miami Marlins all-time save list. 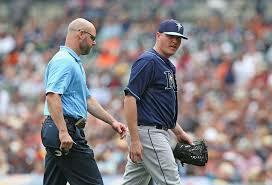 His last time pitching in a professional games was July 14, 2013 while with the Triple-A New Orleans Zephyrs. 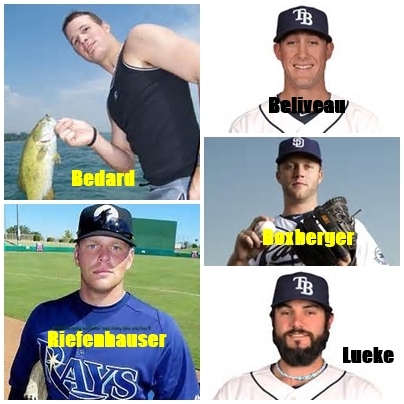 As always, do not discount the names of Jeff Beliveau, Brad Boxberger, C J Riefenhauser, Josh Lueke or even Kirby Yates of not making noise in supplanting one of the above pitchers for a spot on the Rays 25-man roster. Even if none of these names make the final roster before Opening Day, their names will again be heard possibly at some point within Tropicana Field in 2014. 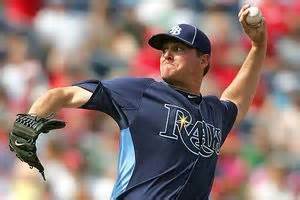 Also worth circling might be the name of Erik Bedard who might have a chance to fill the Rays long reliever role with their 2013 hurler. Alex Torres traded in the off-season. Bedard could also be a great fill-in starter in-house option for the Rays if he were willing to accept a non-starter gig in 2014. 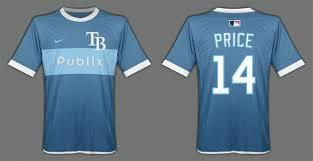 Tomorrow we will hit the factoids concerning the players who should be deemed the starters in the Rays infield for 2014. 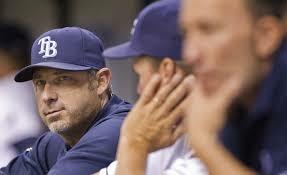 It is one of those moments that everyone within Tropicana Field await with grand anticipation. Once the Tampa Bay Rays pitching staff get to that lucky number “7”, the assembled Rays Republic begins that count down towards double digits with an increased excitement an increased cheering decibel level and that awesome thrill of knowing that something amazing happens when the Rays Center field Strikeout sign clicks to “10”. The moment has become symbolic and synonymous to illustrate both the Rays pitching staff’s strikeout proficiency as well as the benchmark for a free morsel of edible goodness that can only be redeemed when that numerical plateau is finally achieved. 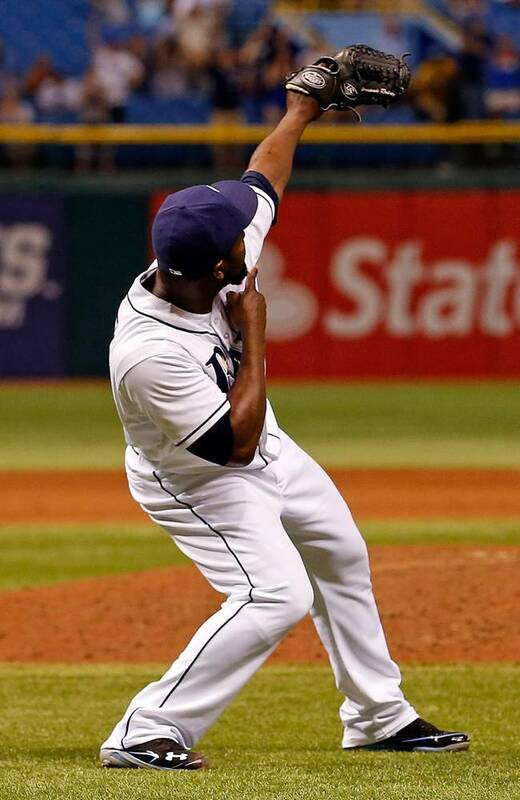 It seems like forever, or at least since the Blimpies Sub promotion hit the trash can, that Papa John’s has become a part of the Rays late inning fun with such honored events such as the 7th inning stretch, or watching that invisible arrow pierce the sky after a Fernando Rodney save. 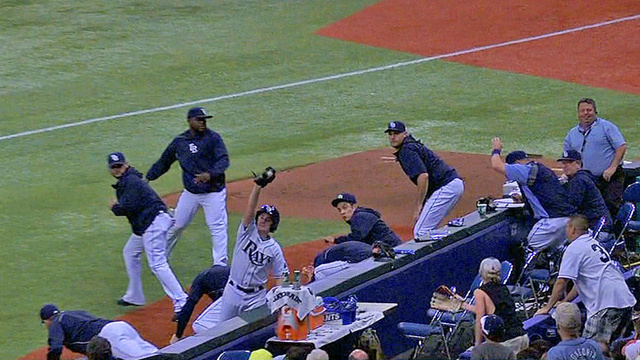 So far during the Rays 2013 season this event has transpired only once back on April 5th against the Cleveland Indians when Rays starter Matt Moore combined with relievers Jake McGee, Brandon Gomes and Joel Peralta to post 11 K’s on the Centerfield lighted strikeout board. The Rays 10- Strikeout Challenge has become a part of our Rays in-game culture, but all that is about to change a bit as everyone within the Rays Republic can now taste the joy and excitement, even from your own couch or comfy recliner. ow, even as you sit at home watching the game on television or your computer or even listening to the contest on the Rays Radio broadcast within Tampa Bay and select Central Florida market locations can also celebrate this feat both home or away with discounted munchies and cold beverages? AFTER a 10-K game and this offer is not valid with other discounts or offers and is only available at participating Papa John’s locations. 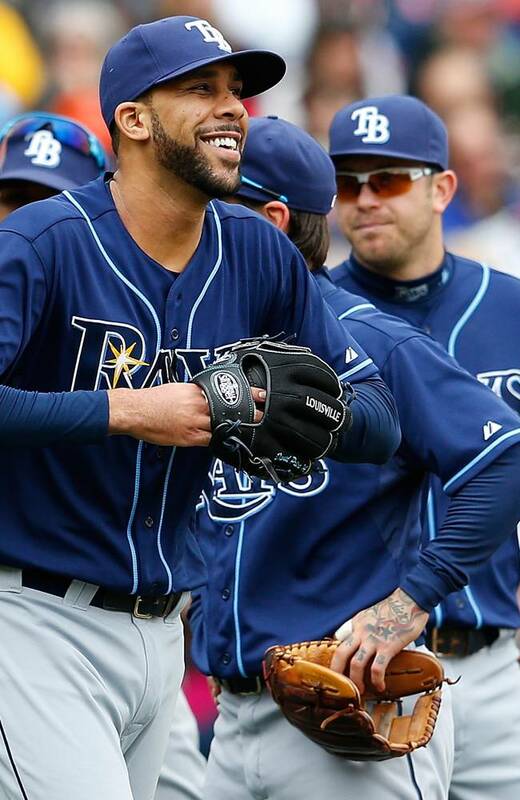 So far this season the Rays actually hit that double-digit mark in 2 of their away games, both in Boston on Saturday, April 13th and Monday April 15th when the Rays pitching staff posted 12 and 11 strikeouts respectfully during their weekend series. That would have been 2 additional times we could have utilized this food offer to the extreme joy and excitement of our families and friends. So now whether home or away you can utilize this special offer the next day after the Rays pitching staff hit the double-digit mark in strikeouts. 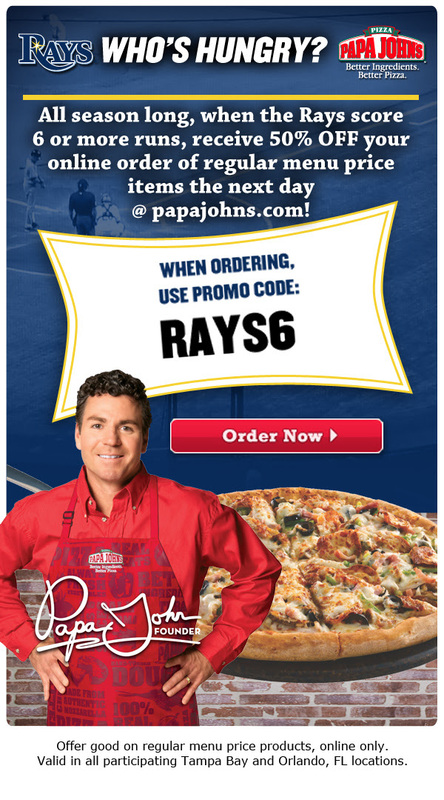 I actually did not know of this new Rays promotion with their corporate sponsor Pappa John’s until I recently bought a pizza and chicken poppers from my local franchise here in Northwest St. Petersburg, Florida. 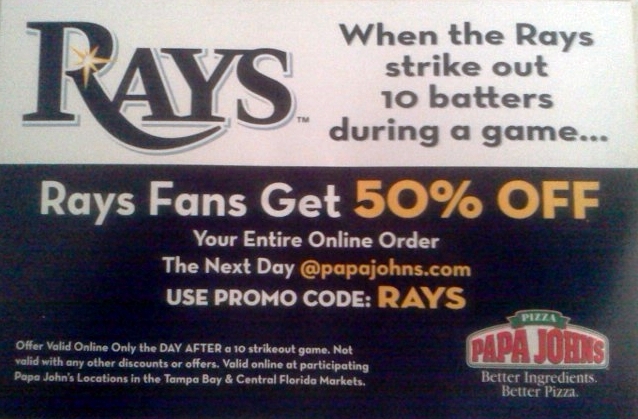 There upon the hot and extremely fragrant cardboard pizza box was attached this new Rays strikeout special offer. Some might say it is only a 50% discount on your entire order, but considering that could be a nice $15.00 windfall on a $30 usual order., but it is another small way you can bring the excitement of watching the Rays strikeout total elevate and get something fantastic even while not sitting within the tilted cap of the Trop. I know I’m hoping the Rays hurlers today post 10 K’s so I can use this special offer knowing that 10 strikeouts by the Rays can get more some great food and beverages as I sit at home hoping for another 10 K result. 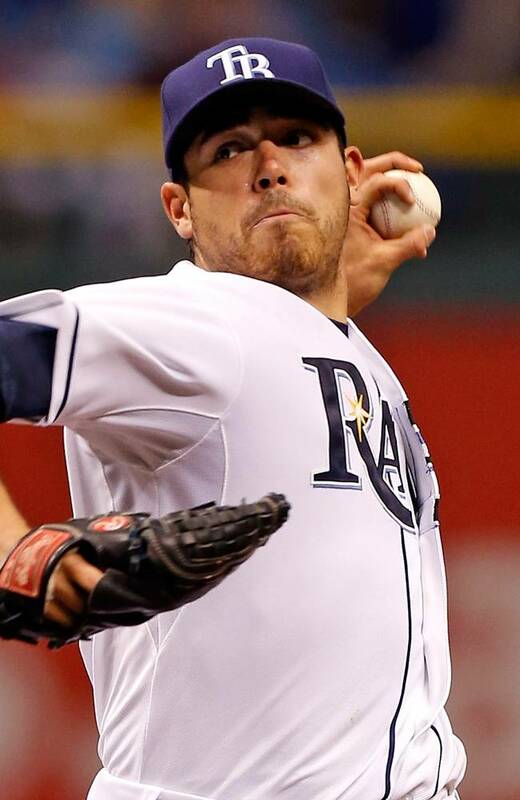 If Tampa Bay Rays starter Matt Moore who is usually a slow starter to begin the season as he gains velocity and control gets even a tad bit better for his second start, he might throw the Rays second No-Hitter. Seriously though, the fact Moore seems to have found a nice balance against the Cleveland Indians on Friday night and allowed only 2 hit to go with his 8 K’s and took home the “W” in his first start of the young season. Maybe we can attest this change of routine to the fact Moore looked a little scruffy on the hill, not his usual clean-cut All-American cover boy self. Possibly Moore has taken a page from fellow southpaw David Price and just go with the flow and what the hitters give you and not stress the small stuff or missed borderline calls. Or maybe it is really as simple as Moore took the mound during his Spring Training gigs like it was already the season and he used those 4 starts as his “early season” roller-coaster starts. No matter what the true reasoning is, it was great to see Moore showing great control, eliminating his walks and going6 innings while throwing an even 100 pitches. The pure fact Moore got to the 6th inning and helped the Bullpen is huge as it gave newly called-up reliever Brandon Gomes a chance to shine as well as give Jake McGee a solid outing to get that huge ERA starting it free-fall towards some sort of normalcy. 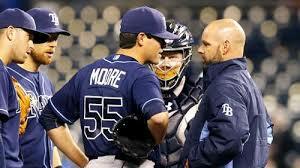 3 times during his 6 inning stint Moore set the side down in order with only three hitters coming to the plate. And only during the top of the 3rd when Cleveland had 5 hitters come to the plate and advanced Mike Aviles to Third Base did a hitter reach third base. 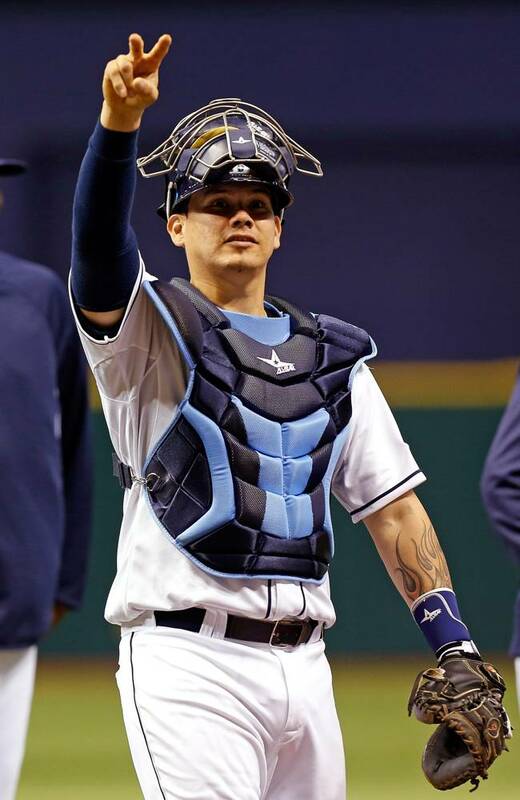 Moore even helped his own cause by pitching inside to Indians SS Asdrubal Cabrera who hit a weakly hit ball right to Evan Longoria who rocketed the ball to Jose Lobaton stationed at Home Plate to gun down Cabrera and keep the shutout intact for Moore. That is the kind of pitching that will elevate this team and keep them in ballgames. Playing to the oppositions weaknesses and strangling their run scoring opportunities by keeping the ball in the park, and on the ground. 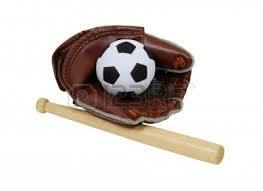 Of the 10 balls hit and put into play last night, 6 were on the ground and were converted with no problems at all. 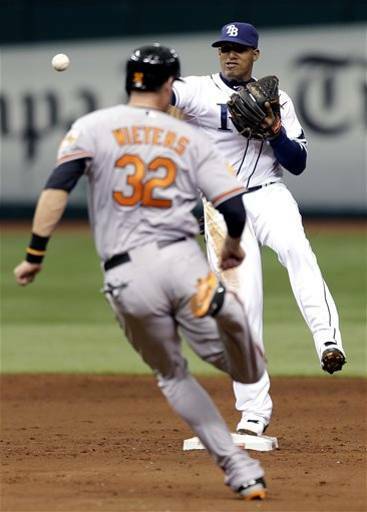 If Moore can keep playing to the Rays strength of a solid and well-oiled Rays infield defense, this is only the first of the wins for him in 2013.